For the first time South Fremantle based Artitja Fine Art will hold their Christmas affordable art exhibition on the first floor of the PS Art Space in Packenham Street, in central Fremantle. 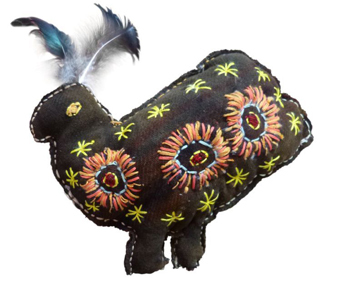 Now in its fourth year the ART + OBJECTS: small and affordable Christmas exhibition of fine art, sculpture, textiles, ceramics and jewellery by Indigenous artists from communities around the country gives everyone the opportunity to start collecting art. From small affordable paintings and objects through to high-end works of art, there is something for one and all. Born from the frustration of looking for gifts with a difference in 2009 Directors Anna Kanaris and Arthur Clarke thought to ‘try out’ presenting Indigenous art as gifts, and haven’t looked back since. 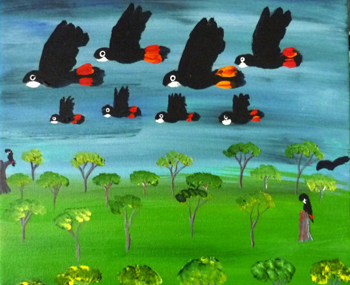 This year, screen-printed fabrics from Wadeye (Port Keats) and Daly River are a special feature as well as small bird carvings, jewellery and of course fabulous original paintings. Popular items such as cushion covers, diaries and licensed products ensure that royalties go back to the artists and their communities. “We have been ‘popping up’ around the place since 2004 and are excited about being at PS Art Space – it is such a young, fresh and vibrant venue that more and more people are getting to know about, and it feels great being a part of that”. 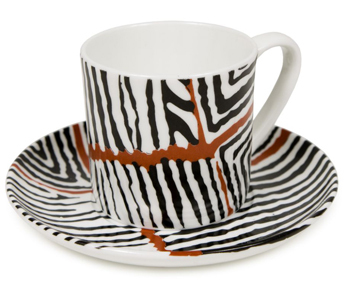 Look out for Artitja's next "pop up" in 2013 when they will be "popping up" again with their regular quarterly exhibitions. ARTITJA: THE GIFT COLLECTION ART + OBJECTS : small + affordable is free to the public and will run between the 8th and 21st December from 10am to 5pm, exhibiting PSAS – PS Art Space, 22 Packenham Street, Fremantle.